Rochester Institute of Technology will hold its first DataFest hackathon this spring, joining a growing list of colleges and universities participating in the American Statistical Association-sponsored event. 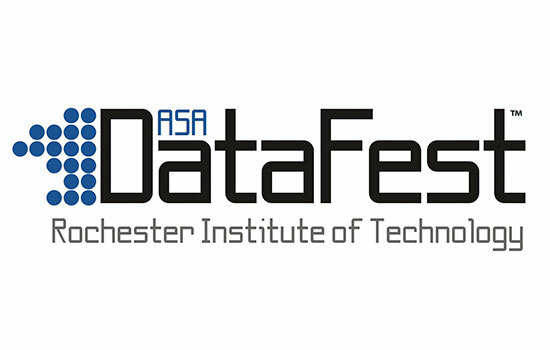 DataFest at RIT is a regional data analysis competition that will take place March 24-26 in Xerox Auditorium in Gleason Hall. The competition will take place from 6 p.m. on March 24 to 12:30 p.m. on March 26. Students will present their data solutions at 1 p.m. on March 26 and an award ceremony will follow at 4 p.m. The event is hosted by RIT’s Data Science Research Group. Approximately 100 teams of one to three undergraduate students from around the region will have 48 hours to mine large and complex datasets to solve a real-life problem disclosed at the start of the event. Each team will have 10 minutes on Sunday to present their solutions using only two slides to visualize their analysis. Prizes will be awarded for Best in Show, Best Visualization and Best Use of External Data. Competitors will have the opportunity to showcase their data science skills on real data sets and network with a community of peers, said conference director Ernest Fokoué, associate professor in RIT’s School of Mathematical Sciences and founder of the Data Science Research Group. He predicted as many as 200 students will participate. The first DataFest was held in 2011 with 30 students at University of California Los Angeles who analyzed five years of arrest records provided by the Los Angeles Police Department. The event has grown to include Amherst, Dartmouth, Duke, Emory, Mt. Holyoke, North Carolina State, Princeton, Smith University of California Los Angeles, and the University of Massachusetts, University of North Carolina and University of Southern California, among other participants. For more information about DataFest, contact Fokoué at epfeqa@rit.edu.